Smart motorways – what are they and how should I use them? | What Car? Smart motorways – what are they and how should I use them? 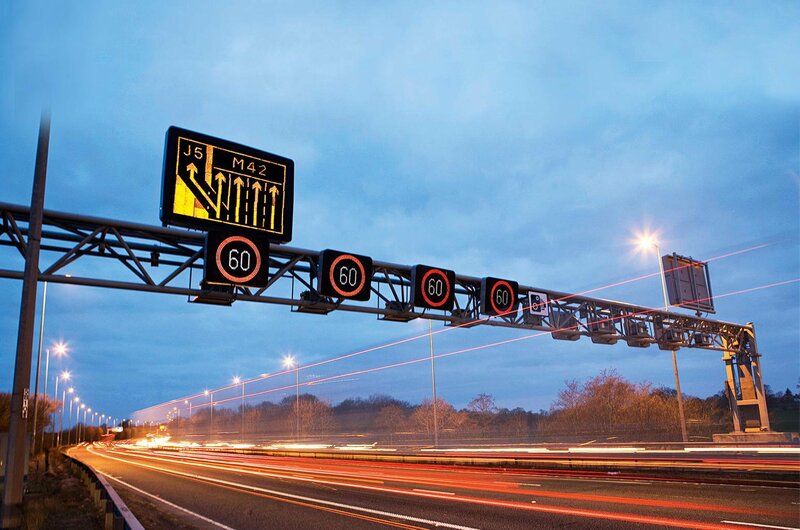 Smart motorways are a response to increasing congestion on UK motorways; they use cameras and speed signs to monitor the flow of traffic and many allow cars to be driven on the hard shoulder either all or some of the time. The thinking behind smart motorways is sensible; they add an extra 33% of capacity to our motorway network at a fraction of the cost – in money and to the environment – of physically adding another lane to every stretch of motorway. On top of that, they improve the flow of traffic, which is good for the economy. So they seem to be an ingenious way of compensating for the £2 billion a year that the UK’s economy is losing due to congestion caused by long-term underinvestment in roads and increased traffic volume. 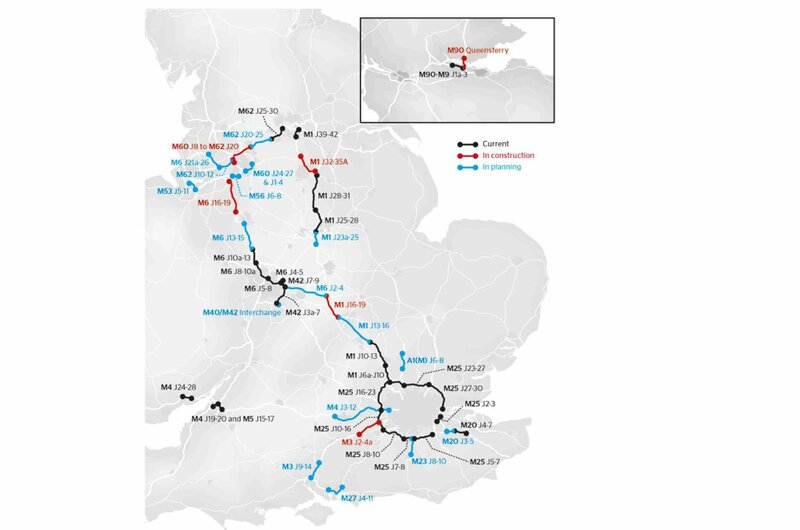 At the time of writing, there are more than 20 sections of smart motorway on seven different motorways in England, plus six sections under construction and a further 18 planned. This type of motorway has variable speed limits monitored via a regional traffic centre; vehicles can only use the hard shoulder in an emergency, such as a breakdown. An example of this is the western section of the M25. On this type of motorway, the traffic control centre allows vehicles to use the hard shoulder at peak times to ease congestion. When the hard shoulder is in use, a speed-limit sign is displayed on the gantries above it; when it’s not in use, they will show a red X.
It’s an offence to drive along a hard shoulder when the red X is showing; if you do, you may get a fine. Junctions 7-9 on the M42 are operated in this way. There are emergency refuge areas (ERAs) at set intervals for vehicles to use if they break down. Traffic uses the hard shoulder as a normal lane all the time on these stretches of motorway. They also have ERAs at regular intervals. 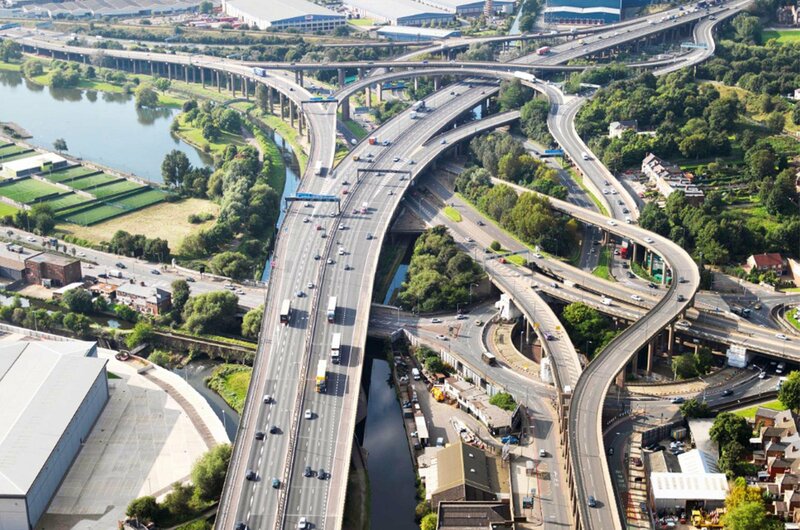 What are the concerns about smart motorways? The first smart motorways had ERAs every 500-800 metres, giving drivers plenty of safe havens if their cars break down. In 2013, the Department for Transport decided all new schemes would be all lane running and that the distance between ERAs could be up to 2.5km (1.5 miles). The combination of these two factors led the emergency services and breakdown rescue providers to voice serious concerns about the safety of their staff and other road users. 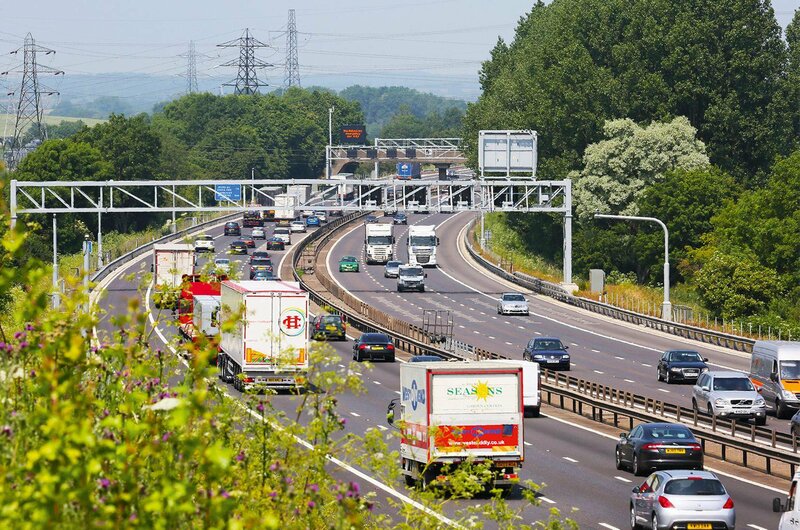 Eighty-four per cent of drivers surveyed by the RAC felt that the hard shoulder was important in breakdown and accident situations and 82% said they would feel “very concerned” if they broke down in lane one – formerly the hard shoulder – of an all-lane running section of motorway. Smart motorways have also had an impact on the ability of the emergency services to get to accident scenes because they no longer have a hard shoulder to drive along. They’ve developed a new strategy of closing the other side of the motorway and then driving to the accident. In response to safety concerns, at the start of 2018, Highways England announced that it would reduce the distance between ERAs to one mile where possible and it would paint them orange to make them more visible to motorists. What rules must I abide by on a smart motorway? There are two things to keep in mind. First, the ERAs on a smart motorway are for emergency use only, so you should not stop in them for any other reason, and once you’ve stopped there you shouldn’t pull back onto the motorway until the authorities tell you it’s safe to do so. The other thing to remember is that it is an offence to drive in a lane with a red X on the gantry above it. While doing this is only likely to result in a warning letter from the police at present, there are plans to introduce fixed penalty fines in the future, so it’s best to get into the habit of leaving a closed lane as soon as you can.